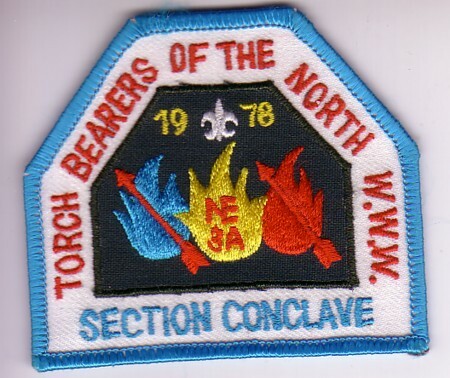 Here is the 1978 Section NE-3A Conclave Patch. This pentagonal patch contained the phrase “Torch Bearers of the North” which was used by Section NE-3A and its successors for a number of years. If anyone is aware of any other items issued for this conclave, please leave a comment below. One of the earliest posts on the blog was back in February 2004. It provided a link on how to subscribe to Patch-L. Patch-L is an Internet mailing list of approximately 700 Scouting patch collectors. While a US centric list, there are participants (Badgers) from around the world. If you are not currently a member of the list, and are interested in receiving messages from and by fellow collectors, give it a try.